There may be a number of different hair salons in your area from which you can choose. Perhaps you just do not like the person that you are seeing today. You may be looking for something that’s friendly or has a specific skill. 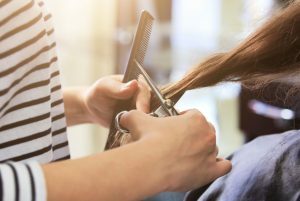 No matter why you didn’t click with someone else, there are a few things to think about when choosing a new hair stylist. The good news is that once you find that right fit, you’ll love seeing this professional every few weeks to update your look and to give you that extra boost you need. What Should You Look for in a Hair Stylist? Of course, everyone’s need are different. You may want to find a colorist – someone that is very good with hair color. You may want someone that has an edgy style to their service. 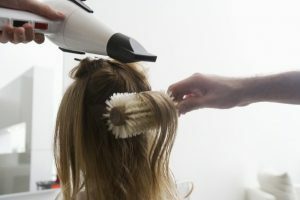 Aside from those factors, there are a few others that you need to keep in mind when choosing a hairstylist for your hair or that of your family. Do you like the person? This is important and at the top of the list because many people value it as the most important feature. Ultimately, you’ll need to trust this person with your look. You want to trust their opinion. And, you likely want to know they are providing you with exceptional service. What skill level do they have? It’s also important for you to consider the level and type of skill of the professional. They need an education and a license, but they also need to be someone that has a professional level of skill that you can rely on to create fantastic looks for you. Can you see pictures of their work? Can you talk to others that have used them? What do they do to stay up to date? Many people are also interested in a hair stylist they can really feel comfortable with knowing that this individual has the experience and dedication to the craft. You want someone that stays up to date. All of these features are important to people who are looking for a hair stylist. The question is, who is right for you? When you come in to the best hair salon in New York City, you’ll find this is one of the best places for you. You’ll find the ideal hair stylist for your unique needs every time. Ready to get the results you want? Work with the best hair stylist in NYC today. Call us at 646-205-3054 to schedule an appointment.